Hunslet 0-4-0ST 1 Elidir gets a drink at Gilfach Ddu station on the Llanberis Lake Railway prior to working its next train to Penllyn on 6 August 2002. 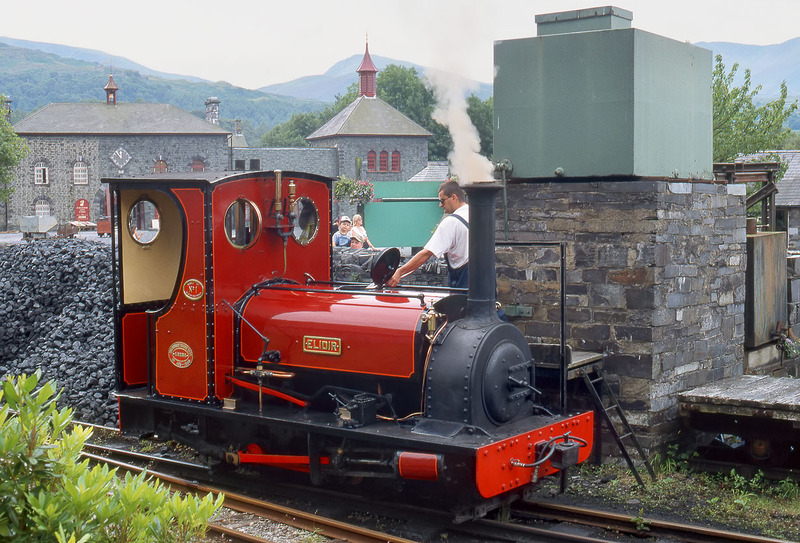 Built in 1899 for the Dinorwic Quarry line, this little locomotive was originally named Red Damsel. When this picture was taken all passenger services started from Gilfach Ddu, however the following year an extension was opened to Llanberis with a new station not far from the Snowdon Mountain Railway's terminus.